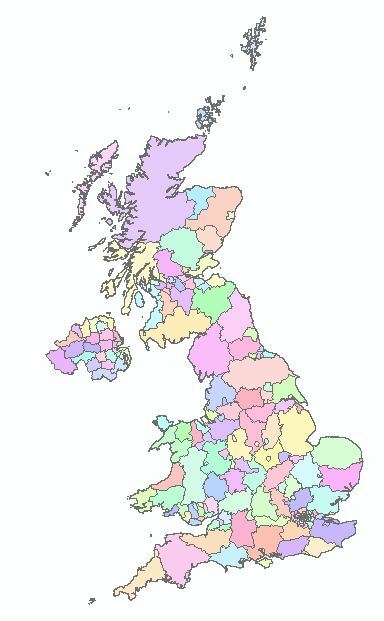 Here is a shapefile of UK Administrative counties, which consists of England, Northern Ireland, Scotland and Wales. Below is the display inforamtion of this shapefile. Click to download. (4.97 MB).